I knitted a scarf for a dear friend. This was the project I talked about in this post. The pattern comes from Purlsoho. I used the yarn Rowan Kid Classic and needles 5mm. Those pears come from the biological market, they are so wonderful and the taste reminds me of my childhood when all the fruits were so tasty! I took this picture because I like the contrast between the light and the dark on them on my dining-room table. très jolie laine et belle harmonie d'hiver. The scarf looks so cozy. It rather matches the pears. Beautiful and delicious! Happy New Year, Christine. Bonne et heureuse année Christine pour toi et les tiens. 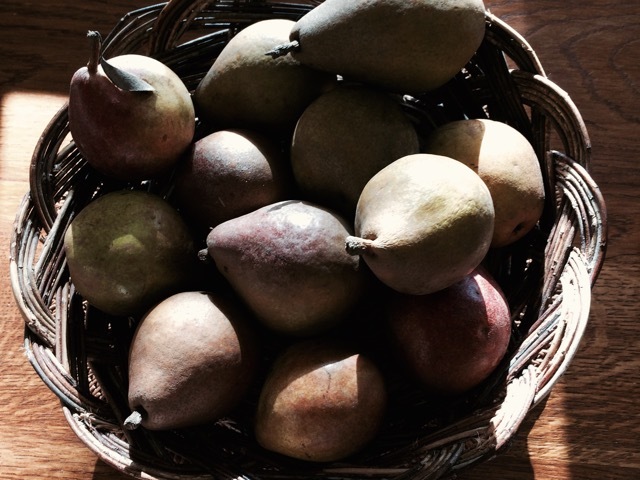 Your knitting is beautiful and pears are my favorite. I can almost taste them from that photo! That is a wonderful texture on the scarf, Christine. I know your friend will love it. The scarf looks so soft and expertly knit. A perfect winter activity. I also love pears this time of year. Your photo reminds us of the beauty in everyday life. Gorgeous scarf..those pears do look tasty too ! Beutiful scarf, even the ball of wool looks beautiful......such texture! Yummy pears. That looks beautiful and so soft! Great stitch. J'aime beaucoup le point de ton écharpe, elle va être superbe. That stitch looks so very beautiful! 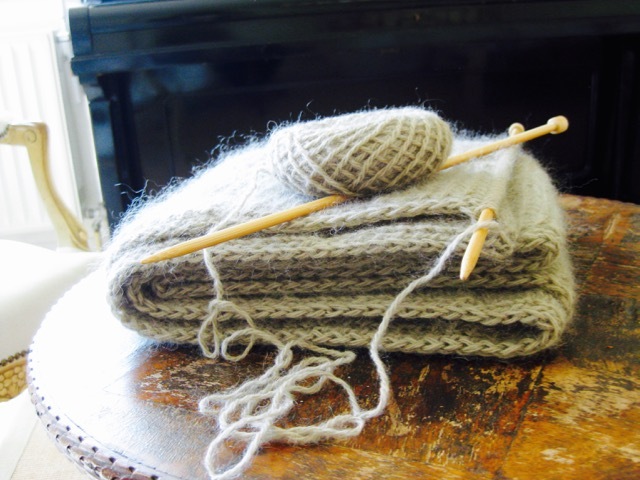 I've seen this pattern a long, long time ago on purlsoho and it still lingers at the back of my head ;-) I love how it looks so simple but intricate at the same time! Love it! The pattern and the pears. 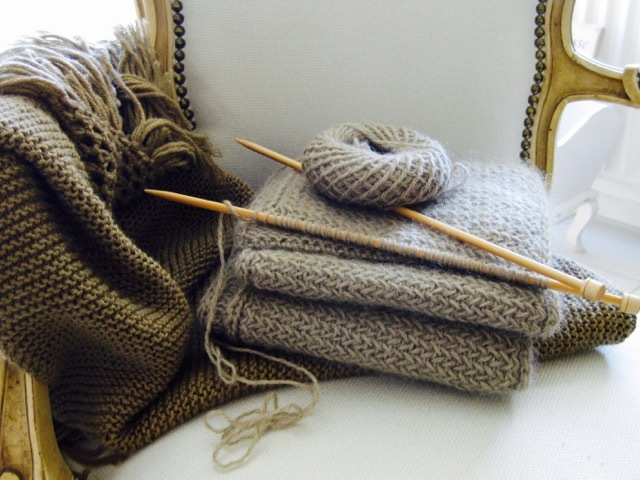 The scarf is beautiful and will keep you cosy on cold days - perfect colour to go with everything. I love the scarf, Christine. 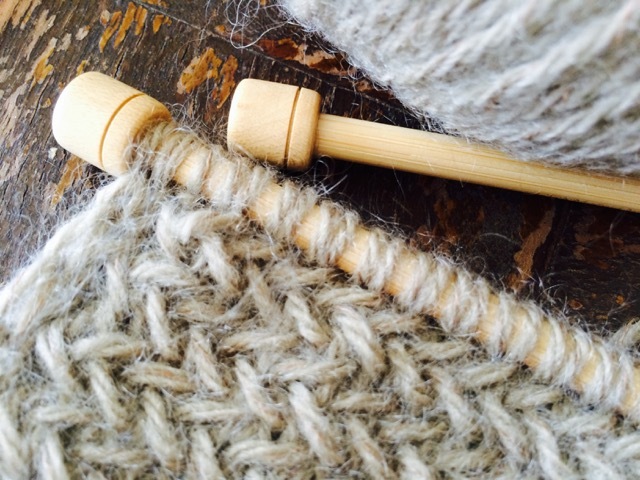 Your knitting is so precise and the yarn is gorgeous. Your friend must be so happy. I have that scarf in my queue. Yours looks so cozy and nice. Even the yarn ball is a cozy picture. Love the scrumptious texture of this project! Just gorgeous!!!! Thank you for commenting on my old blog. Your blog is beautiful. I mostly do Instagram now and follow people on that. Are you IG? I'd love to follow you if you are. 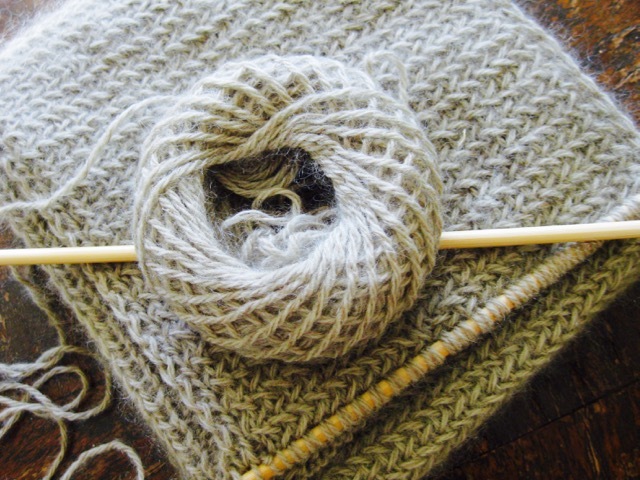 I have never tried herringbone in knitting. Only embroidery. I love yours and want to try it. So beautiful. this is beautiful...i would love to learn how to do this!!!! Beautiful scarf and lovely pears too! It's the perfect season for them. Love the scarf - color, texture, everything. Beautiful photos!